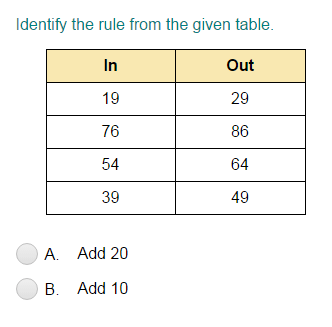 What did you think of Addition Input/Output Tables - within 100 ? Addition is an operation that increases a number after the operation. For example: Consider the number 56. If a number, say 5, is added to it, then we get 61. Here, 56 is increased to 61 after the addition operation.